Imagine a border, outs on one side, hits on the other. One side of this border is impenetrable. Each time an out sidles up to the well-armed border guards and asks to cross, the out is forced to produce voluminous documentation and to undergo both an enervating verbal interrogation and a full cavity search. The outs are almost invariably denied entry to a new life as a hit and return humiliated to the hovel they’d abandoned earlier that day. Conversely, all a hit needs to do to cross over to the land of outs is to walk through a ruined fence past a drooping scarecrow dressed in a fading government uniform. It’s hard to be a hit, and hits unable to deal with the pressure of existing as hits feel the pull toward the land of outs, and stumble across the border toward what they rationalize will be no more than one night of freedom from consequences, one night of blissful inebriation and release, but then of course the next morning when they approach the fortress blocking reentry they are seen as just another hopeless out. There are many things wrong with me. One of those things is that I often focus on things wrong with me. But even after years of this tendency I never have been able to get at the central thing wrong with me. The search for such a thing is no more fun than picking through a dumpster on a hot August day, yet I often seem to prefer it to the alternative: facing life as it comes, empty-handed. I don’t know what this has to do with either Bill Plummer or the above paragraph or, come to think of it, anything, but I decided not to delete this paragraph, since the large majority of paragraphs I write get deleted. Young paragraphs read of me in their history books: I’m one of the most infamous mass slaughterers of their kind, a Stalin relentlessly ordering sentence-groupings to the execution chambers by the thousands. So this paragraph shall live, like some poor terrified hunchbacked shtetl nobody spared the firing squad at the last minute, his pants already wet, so as to bolster the feeling of godlike potency in the pardoning tyrant. Behold my terrible power! Mwoohahaha! A certain terse phrase is often hurled at adolescents as the smug answer to all the internal and external attacks on their mental and physical well-being. “Just be yourself,” they are told. I am now 40 and only beginning to grasp who I might be. I know I had absolutely no clue about this when I was struggling through seventh grade. I was young for my grade, so I was still in my last year of little league, but the fun of little league, a place where I did actually know who I was, was like a single basehit in an otherwise long hitless streak. Over the years, I had enjoyed helping my stepfather, an actor, learn lines for his various roles, so I tried out for the seventh grade play. I didn’t get a part but because there were so few people trying out everyone, including me, was at least assigned to be an understudy. I was in no shape to be needed by anyone. Bill Plummer was an understudy for Johnny Bench, perhaps the greatest catcher in the history of the game. Plummer won two World Series rings without playing a moment of post-season baseball. He never was able to push his career batting average over .200. 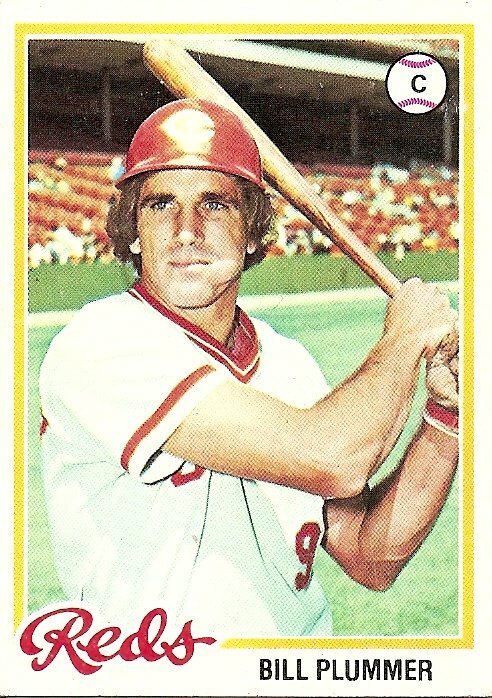 After several years backing up Bench on the Reds he went to Seattle in 1978, perhaps hoping for a starting gig on the second-year expansion team. He got only 93 at bats. He did hit .215 in limited action to push his lifetime mark up to .188, but that’s where it stayed. The following year he remained in the Mariners organization but did not play in the majors. If he had he would have been a teammate, albeit briefly, of the Mariners newly acquired utility man, Mario Mendoza, at that moment in time a nondescript utility man, not yet known for anything in particular. What is it called? That feeling inside—partly an ache and partly, strangely, a glow—that something is wrong with you? That you’re not quite cutting it. That you missed some vital meeting early on where everything was explained. That every day is like crossing a border after being blindfolded and spun. You stumble one way wondering if you should be going the other. That feeling. What is it called? You are currently browsing the archives for the Bill Plummer category.